Crews were working to clear a major crash along southbound Interstate 95 on Monday evening. 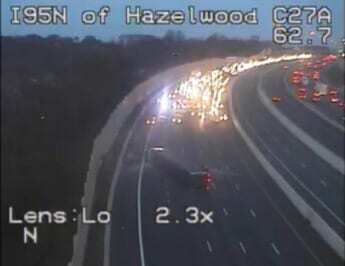 At about 5 p.m., a tractor trailer flipped over on I-95 south, just past the beltway (I-695). The Maryland Transportation Authority says all lanes of southbound I-95 are currently shut down. Hazmat crews are on the scene and major delays will likely last through the early evening.